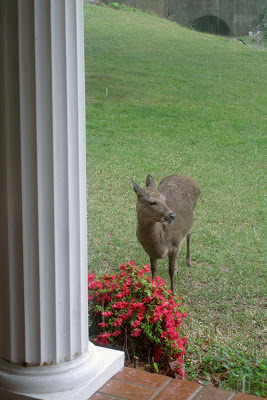 She’s become brave, venturing from the drainage ditch and culvert to our few flowered bushes lining our front porch. She walked to the backyard and nibbled on some grass there before returning to our front yard. 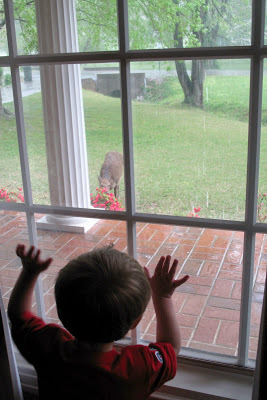 Yes, we spent some time watching [and Ben waving] to her through our window. She seemed uninterested. And just kept meandering around the yard, in the rain. I don’t see her now, so I suppose she’s taking cover somewhere I can’t see. Unless the animal control officer heard the message I left for him this morning and came by. 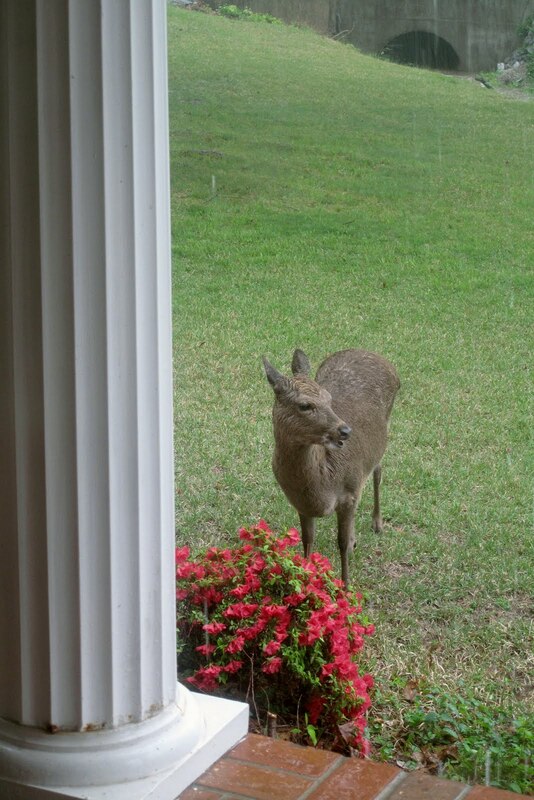 UPDATE @ 2:52 p.m.: The deer has not floated away in the rain or been rescued by the animal control officer. She is sitting like she doesn’t have a care in the word in our backyard near the corner of the fence.